1.Save your picture to your computater and remember where it is. 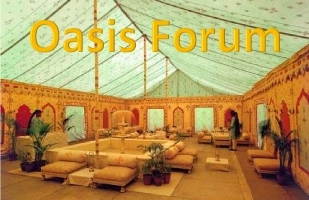 2.Hover your mouse on the “new” icon at The top of Oasis forum and then click on “post” in the drop down menu. 3. Type your message into the new post and then click on “add media” which is at the top left of the window. 4.There is a new drop down box at the top right where you can choose “All media items ” if it does not come up automatically. 5. You should then see your downloaded picture among all the other images downloaded by others onto the site. 7. Go to the top right and click on “preview” to make sure it is how you want the post. 8.If all is good click on “publish ” at the right/middle and your post is done. Sorry this needs some work still, will try to fix later..